In order to make sure that the step stool for your kids is safe to use, first you must consider what your child will be using the step stool for. Since it is getting close to summer a lot of kids will be drinking out of a water fountain. 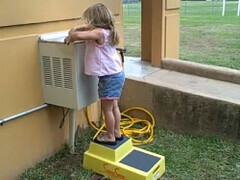 Most water fountains in public places are installed for an adult to use, so they are too high for a child reach safely. You don’t want your child standing on a step stool that could tip over while they’re getting a drink from a water fountain, do you? Kids don’t think about safety when they want a drink of water; they just want to quench their thirst. So make sure that the step stool is very, very sturdy, because when kids get near a water fountain they horse around and play, a lot! 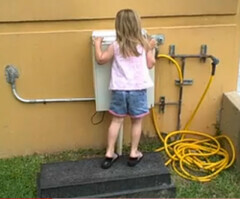 Also consider if the step stool for kids to drink from a water fountain is going to be outside, if it is then get a kids step stool that will stand up to the weather and last. Metal step stools tend to rust and become unsafe after being in the rain & sun for more than a year. Wooden step stools simply fall apart after being in the weather for any length of time. Plastic is good as long as the children’s step stool is rated for enough weight to handle several kids at one time. Remember, kids horse around a lot and this isn’t the time to cheap out on the equipment. 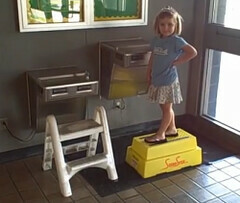 Kids don’t know if the step stool is safe or not, so you’ll have to pick a step stool for them. Remember, legs are unsafe for an outdoor step stool. 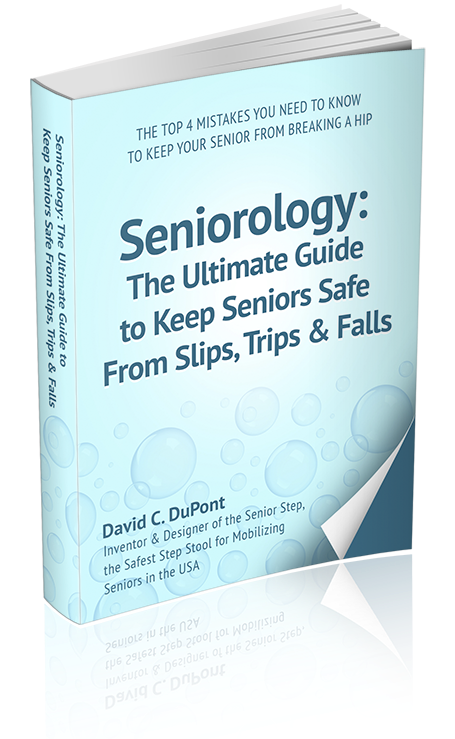 If the ground gets soft, like after a rain, one or more of the legs will sink into the ground making your child’s step stool unstable and un-level.